Monitoring as a service is the back bone of a proactive environment. 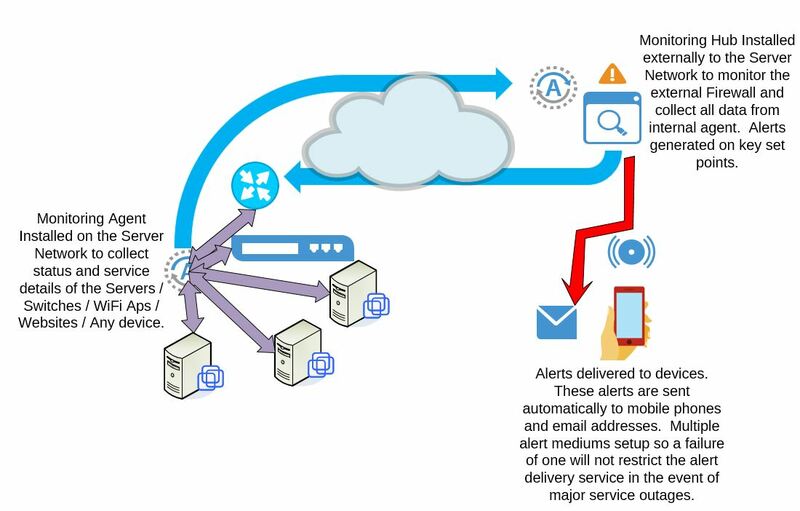 Monitoring is not simply just getting alerted when things are not available or if a core service goes offline. To run monitoring as a service this involves looking deeper into the inner working of the environment and seeing the potential problems before they become one. Monitoring can cover the full stack with examples below. This list is not exhaustive but shows the level at which monitoring can be setup. Benefits for monitoring are not just Up Down but can be configured to give availability statistics and metrics with added benefits of trend analysis for capacity planning. A well configured monitoring platform can save money from a break fix situation and make the environment more attuned to strategic goals. We use various providers to perform the best possible platform these will be tailored to the solution and the needs of the business.